Professor of Commercial and Maritime Law in the City Law School, Professor Jason Chuah, says port states have at the very least a moral duty to assist those who are prevented from entering port merely because of a risk of non-payment of port dues by ship owners. Many in the shipping industry will be aware of Hanjin Shipping’s bankruptcy court filing in New Jersey and its court rehabilitation filing in Korea. 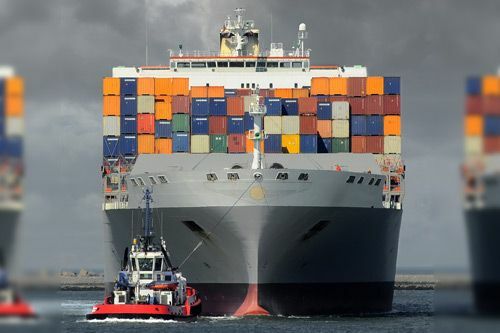 The concerns of the industry are palpable – Hanjin’s ships are under threat of arrest all over the world, which in turn will lead to containers and goods not being released. From a pure shipping point of view, owners who have chartered to Hanjin and those who have chartered from Hanjin run the real risk of not being paid. From an international trade point of view, cargoes are stuck on Hanjin ships and suppliers will not get paid. Buyers are then unable to meet their contractual commitments to their own buyers. Port authorities may also not be paid and will thus not permit Hanjin ships on the high seas from entering port, or, for those ships already berthed, from unloading their cargo, unless they have assurances of being paid. 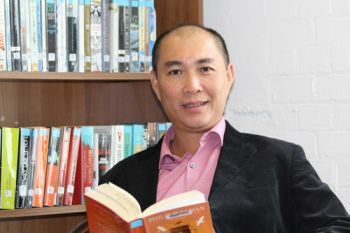 Professor Jason Chuah of The City Law School, who has written and consulted extensively on shipping law, comments that although many quarters are working flat out to bring about a workable outcome for all concerned, the cross-border nature of the turmoil makes the matter much worse. He is also particularly troubled that although there has been much harmonisation of maritime law in the global context, there is little harmony when it comes to cross border maritime insolvency. It is very much every person for themselves. With the large cross-border dimension at play, there will be numerous lawyers chasing Hanjin shipping vessels around the globe. Their main security for their clients, of course, would be Hanjin ships. However where some countries will recognise the bankruptcy protection afforded to Hanjin in South Korea and will therefore not permit arrests to take place, others do not. Hence, the race is on to find the best choice of arrest venue. It is easy in all of this to lose sight of the human story. There will be crews working on Hanjin ships who risk being abandoned without pay at ports or on the high seas by Hanjin. He is therefore pleased to see that the South Korean government had set up a task force to look to repatriating seafarers who find themselves in such a predicament. There is still regrettably not much substance to the proposals and Professor Chuah is concerned that all port states where Hanjin crew is found should be proactive to ensure a reasonable standard of care is offered and to cooperate with the South Koreans to repatriate abandoned crew. He argues that port states have at the very least a moral duty to assist those who are prevented from entering port merely because of a risk of non-payment of port dues by the ship owners. Cross-border insolvency occurs whenever a debtor’s assets or liabilities are located in more than one state, or if the debtor is subject to the jurisdiction of courts from two or more states.